These are held in the Cafe area at the back of the church. Flora introduced her knitting challenge – it’s the squares again! – she knows charities which are prepared to take completed blankets – or they could go to Jackie’s Inner Wheel charity, depending on how many we manage to make. 1) 4mm needles, double-knitting. Cast on one stitch and increase by one stitch at the beginning of every row until you have a total of 46 stitches. Then decrease by slipping one and knitting two together at the beginning of every row until you have a diamond 6 inches square. 2) 3mm needles, 3-ply. Cast on 22 stitches and keep knitting until the length is equal to the width. 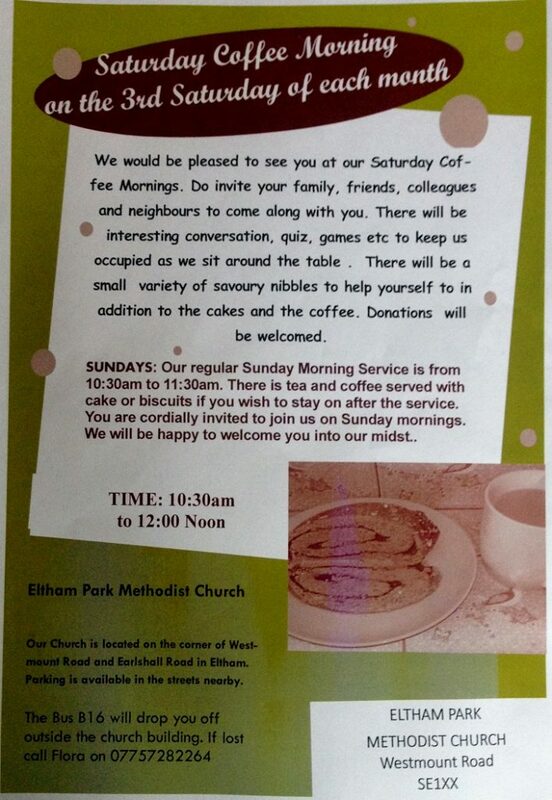 Bring your squares to the next coffee morning – or we can store them in the vestry if you want to bring them to church.